Do you want a real estate agent that will take you through the buying or selling process step, by step, by step... I will help you do just that. Finding a home in the Baltimore Metropolitan area has become very difficult in this past decade. With the advent of Facebook, Twitter, Zillow and other forms of internet real estate, many people have become weary with real estate agents that constantly push their listings online. Give me a call today at (443) 756-1189 to schedule an appointment. As a lifelong resident of Baltimore, I have devoted much of my personal time over the past eighteen years to community service. I have been an active Rotarian - serving as President of both the Rotary Club of Towson and Downtown Towson - serving the local and international community. My devotion to community service translates to an interest in people and an intense desire to help my clients find the best solution to their needs, whether that be selling their present home or finding that new home of their dreams. It's easy to find a house. I help you find a home. Call me at (443) 756-1189 to schedule an appointment. The home you've been waiting for. A place you can start new lasting memories with your loved ones. Sit by the fireplace and enjoy company in the living room, or sit out by the pool and take in all birds and wildlife chirping around you. Have dinner out on the screened-in porch and put your feet up. Plenty of space here inside and out. You'll love the bonus rec room on the main level for storage or a game room! And enjoy access to the community boat ramp! What are you waiting for, your dream home awaits! "I can’t say enough good things about Linda! She is wonderful! Towards the end of November I decided that I would not renew my apartment’s lease and that it was time to buy my first place. I was so nervous and had no idea what I was doing, but Linda put me at ease. She explained the whole process and got me really excited to start my search. Linda listened to all that I was looking for and delivered wonderful homes for me to look at. Additionally, she was great with getting me information on any of the places that I found through my own searches. Ultimately, she was the one who found the place that I fell in love with. She gave me a great recommendation for an offer which allowed me to win out of the three other offers on the table. Luckily for me, I didn’t have to go over the price either because Linda worked her magic and had great referral partners. She referred me to a loan officer who was able to get my loan done in a little over two weeks so that I could go to settlement before the new year, and a title company that was able to squeeze me in on December 29th. Now I am the happy owner of a place I can truly call home! If you are considering buying and selling your home, I would highly recommend Linda! She is definitely a 6 out of 5 stars! " "I have known Linda for 5 years now through our networking group, BNI. It wasn't until 2017 that I learned just how amazing she is as a realtor when she helped me buy my first home. I called Linda on a Friday morning with a listing that I had come across online. We had talked a few months in advance about possibly buying a home soon, but I never really pursued it. I called and asked if there was any way that we could book a time over the weekend to take a look at the property. Within the hour she called me back with a 10:00 showing time on Saturday. Linda and her husband, George, drove over an hour to Carroll County to show me and my family the house I was interested in. After seeing the house I decided that this was the one I wanted to put an offer on. Linda had already brought the paperwork with her to put a contract on the house. I signed right there. I think Linda's best attribute as a realtor is her negotiating skills. She was able to advise me and negotiate a deal with the bank to help with closing costs leaving me with more cash in my pocket after closing. I never knew that I could ask a bank owned property to help with closing cost! In less than 3 months I settled on the house. I will always recommend Linda to any of my friends and family that are looking into buying or selling their home. She is available by phone or email with questions or concerns during the home buying process. She is incredibly personable, caring, professional, and best of all, knowledgeable. " 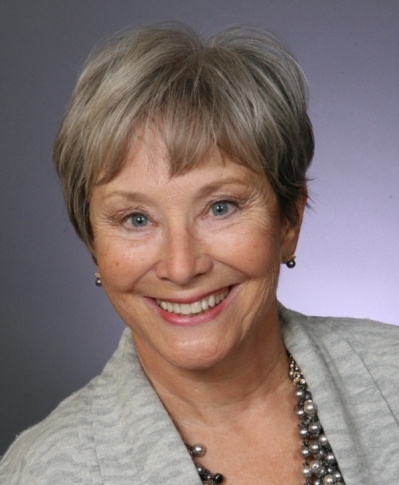 "Linda was proactive in getting all the necessary documents for a quick listing of my mom's condo. She also staged it, as the unit was unoccupied for some time, and that accelerated the sale. Linda and her husband also worked to coordinate updates, and even performed small repairs that were needed. Whether you're selling or buying, I would highly recommend Linda Dieter, she goes above and beyond! "